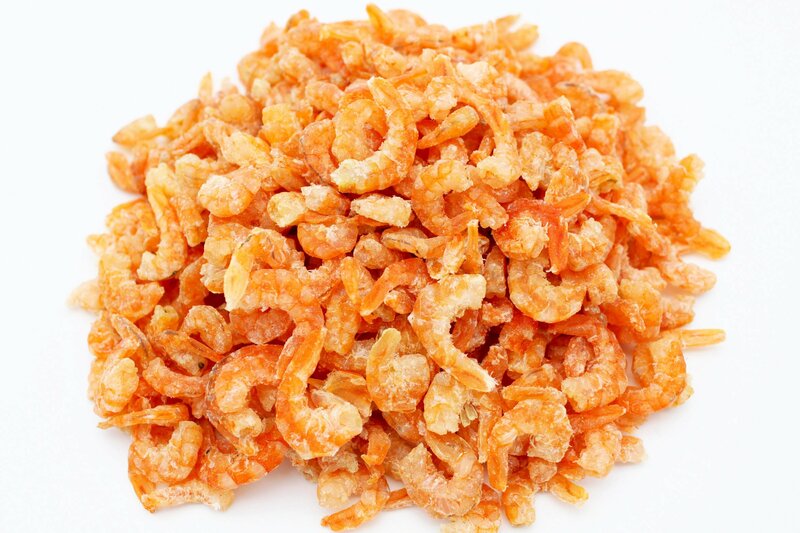 On the hunt for dried shrimp, I accidentally found something better: tiny dried shrimp. They’re light orange, thin and almost transparent. We had quite the debate at the dinner table on whether these were just the skin of shrimp, or just dried tiny shrimp. But it is, indeed just dried tiny shrimp! In the past, I used dried shrimp to create soups, but with tiny dried shrimp, this was a different sort of magic — I discovered this when I was working on the onigiri recipe and found that it worked so beautifully with a little bit of sugar. Crisp these up a little, and you have a crunchy and shrimpy texture to your whole dish. 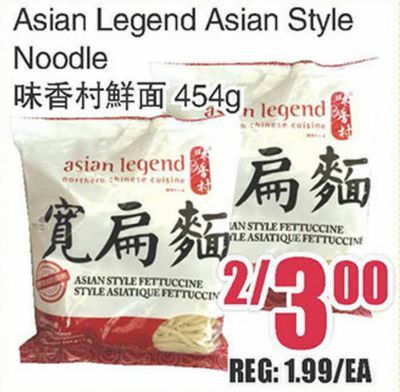 Here’s my super quick go-to recipe for a noodle that’s better than your local Chinese takeout. 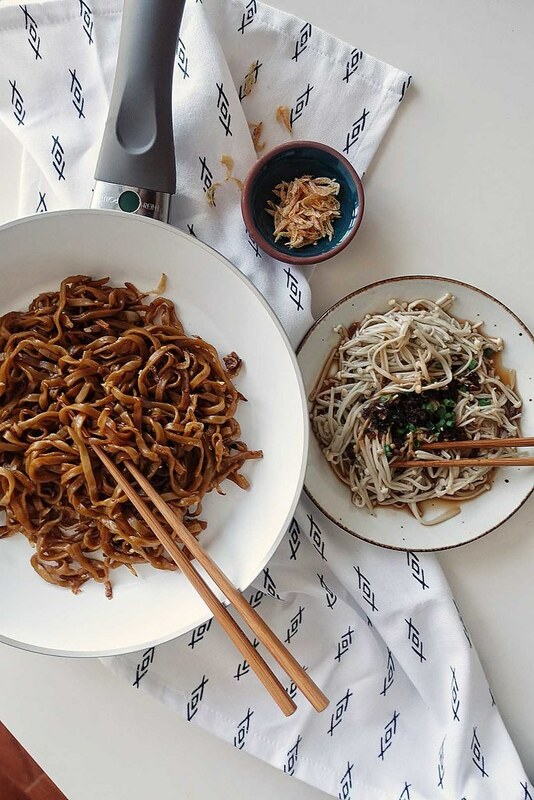 You can even make it as simple as just noodles, and the two soy sauces. But, for texture, I like to add garlic cloves (sliced in 2-3 pieces) and fresh shrimp, or dried shrimp. This one is cooked, then plated up all on my Ballarini Treviso pan! Boil fresh noodles as per package instructions, drain. In a pan on medium heat, brown garlic and dried shrimp, mix quickly. Add soy sauces, mix well for 2 minutes. 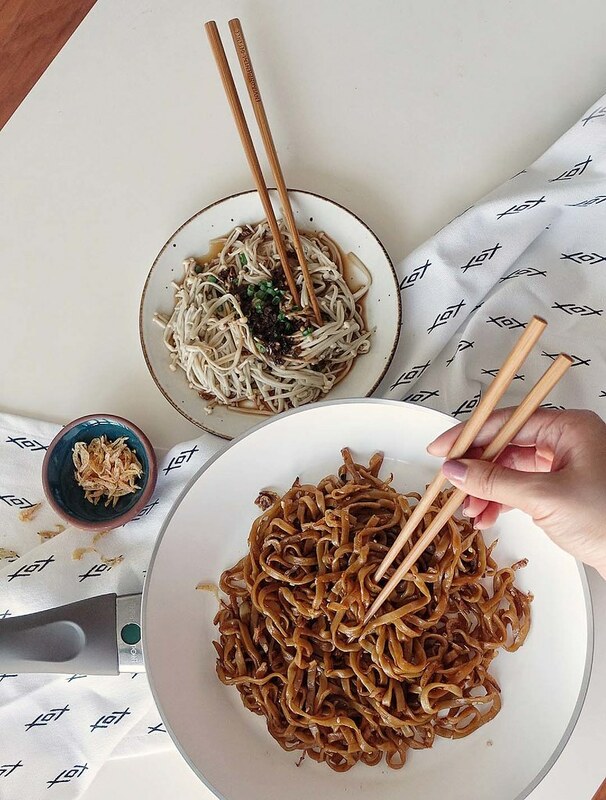 Trim one inch from roots off enoki mushrooms. Brush off dirt. Blanch mushrooms in boiling water for one minute. In a pan on medium heat, add oil and garlic, stir for 30 seconds. Add soy sauce and green onions to pan, stir. 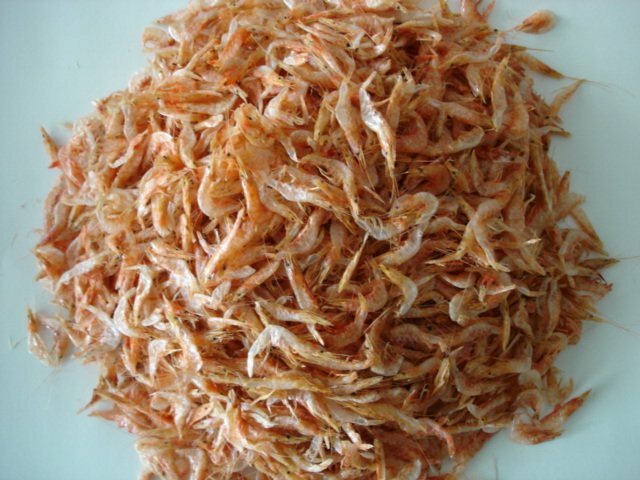 For other uses of the dried shrimp, I like Fushia Dunlop‘s suggestions on how to cook the “paper dried shrimp”, hehe: Dried Shrimp. If you have any recipes to use these papery dried shrimps with, I’d love to know!